Your business benefits from cutting Alupanel Composites boards with our CNC router Precision Cutting services. Alupanels are decorative aluminium composite panels with exceptional rigidity, outstanding strength, easy installation, quick maintenance, and a vibrant appearance. We can custom cut Alupanels for any industrial engineering applications, like wall linings in machinery and equipment, parts for the automotive industry, or decorations for interior design in the construction industry. Tough, durable, and lightweight, Coroplast is a popular fluted plastic. 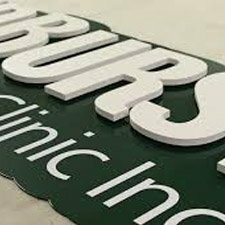 We can precisely CNC cut reusable Coroplast letters, symbols, arrows, company logos, and sports field mascot stencils for you. 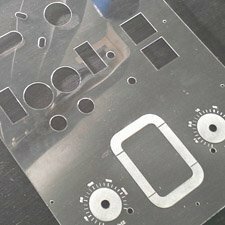 Our Coroplast CNC cutting is done with highly accurate cuts using our digital CNC machine, and we are able to maintain volume-based Coroplast production smoothly. 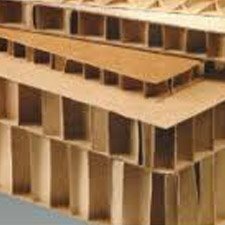 Every single one of your creative ideas can be produced economically using corrugated cardboard. 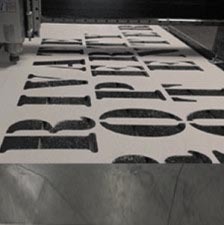 We can CNC cut and crease this material using our CNC digital cutting system. We crease and cut all commonly used cardboard packaging materials. 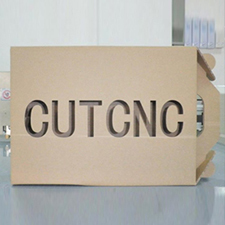 We can also apply CNC routing, cutting, and creasing technology to your cardboard packaging or cardboard displays to create custom cut-outs of various shapes and sizes. We provide accurate and affordable CNC router cutting for PVC, plastic film, and rubber. With our CNC router, we have the ability to easily CNC machine and engrave material, including PVC, and many other soft, rigid, and semi-rigid plastics. Contact us for PVC CNC cutting services for both commercial and engineering applications. Honeycomb boards are environmentally friendly, cost-effective, and durable. With our digital CNC scoring and cutting services, we help customers produce smart, practical solutions that also look incredible. Our in-house CNC flatbed facilities do a quality cutting job on most honeycomb materials. We use blade or router technology to cut suitable material to your specifications in various sizes and production runs. With our cost- and time-efficient routing capabilities, we are capable of cutting foam boards in intricate shapes with sharp angles. In terms of foam cutting, we use cutting tools intended for knife cutting or routing with our digital CNC machine. Foam boards are an excellent choice for temporary projects requiting a low weight and rigidity. 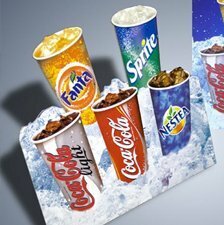 Standard foam boards are a versatile, all-around graphic and display board choice. 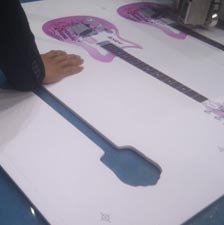 We provide high-quality CNC router inlays for different materials in various shapes and sizes. We are genuinely passionate about the precise and perfect finish we can achieve using our CNC router. We make amazingly accurate router inlays with high aesthetic value that will make your customers appreciate the beauty and complexity of a job well done. Acrylic Plexi-Glass is a rigid plastic material with a premium-looking high gloss finish. We perform Acrylic CNC cutting for applications where edges are visible — these are polished or made very smooth. In addition to Acrylic CNC cutting services, we offer edge finishing and polishing services for Plexi-Glass, Acrylic and Polycarbonate Sheet products for clearer and more elegant edges. With our state of the art CNC cutting technology, we have the ability to handle your project requirements for Lexan or Polycarbonate specific jobs of various shapes and sizes. 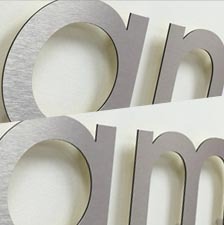 Obtain a smoother and cleaner finish when CNC cutting this material with us. 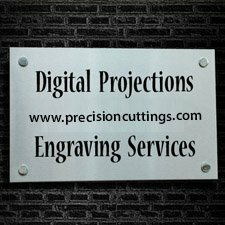 We offer on-demand custom cutting and shaping services to ensure that your jobs arrive on time and ready to meet your specifications. 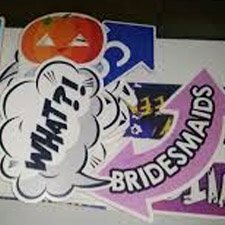 Using our CNC router engraving machine, we provide state-of-the-art cutting and carving for grooves and characters on various surfaces. Our services include Plastic and Aluminium engraving for B2B, industrial, and architectural needs. 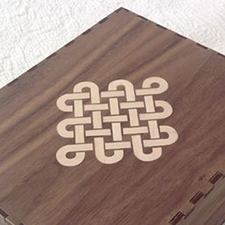 Our CNC router engraves flawless geometric designs with eye-catching aesthetics. Sintra is an expanded PVC sheet material, and we provide routing operation services for all Sintra products. For better results, we use our CNC router to cut, slot, bevel, rabbet, and round edges, thus precisely trimming Sintra to exact specifications. We offer reasonable prices, good quality, and fast turnovers. HDMP is high-density molecular plastic widely used throughout a range of industries. HDMP is impact-, chemical- and abrasion-resistant, lending its use to fender applications, machinery equipment, protective wear liners, engineering bushes and sleeves, as well as uses in the food industry. 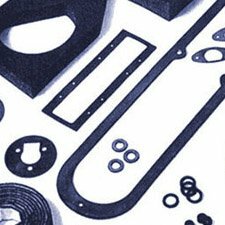 We provide state-of-the-art CNC precision cutting technology for HDMP products. 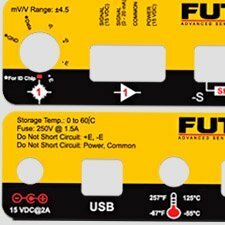 We offer a full suite of CNC knife cutting solutions via our flatbed CNC cutting system for vinyl and semi-rigid material. 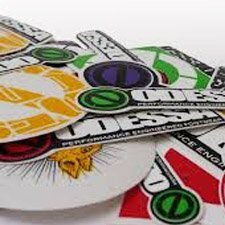 We serve markets that require mechanized knife cutting, creasing and perforation operations for vinyl products. We easily register images printed on a wide variety of digital printers using powerful digital camera readings on our CNC machines!